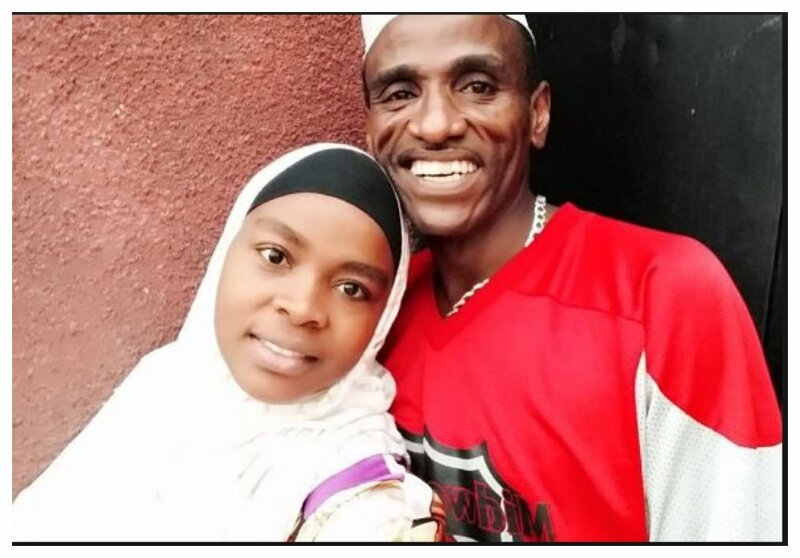 Sometimes in February 2018 Abdul Juma declared that his daughter Mwajuma Abdul aka Queen Darleen should not step at his funeral when he dies. Abdul Juma was furious after Queen Darleen said in an interview that her dad was already dead to her. She blamed Abdul Juma for abandoning Diamond and her when they were only kids. On June 8th 2018 Queen Darleen indirectly sought forgiveness from her father. She took to Instagram and asked whether her father would accept her gifts on Ramadhan. 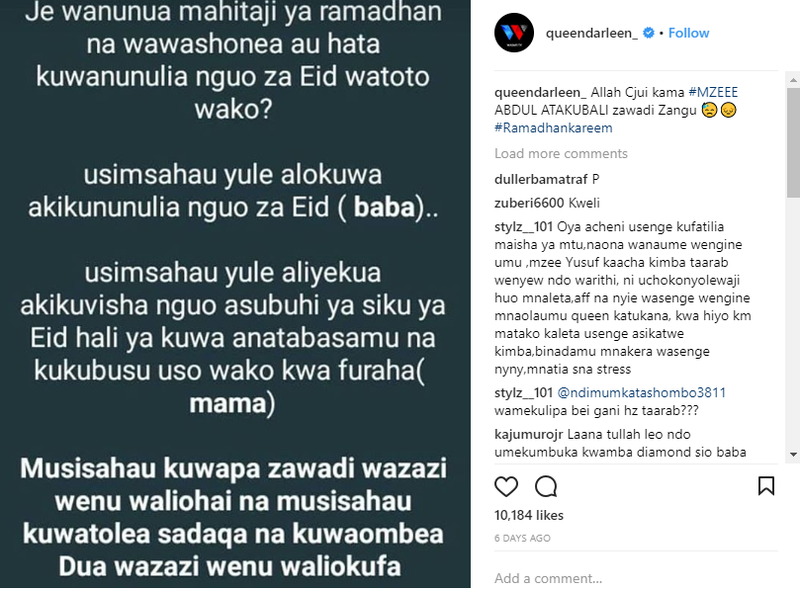 “Allah Cjui kama #MZEEE ABDUL ATAKUBALI zawadi Zangu #Ramadhankareem,” wrote Queen Darleen. Mzee Abdul has since forgiven his daughter. 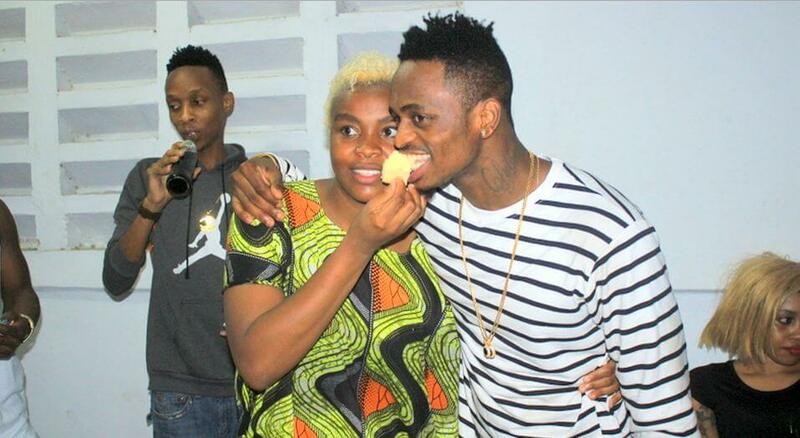 Diamond’s father told Ijumaa Wikienda that he will receive the gifts if Queen Darleen brings him. “Yule mimi ni binti yangu, japo hapo awali tulikorofishana mpaka vyombo vya habari vikajua, lakini kama ataamua kuja kuomba msamaha nitampokea na mtoto akishaomba msamaha huwezi ukamkatalia kama kweli ataniletea zawadi nitazipokea na nitazitumia,” said Abdul Juma.